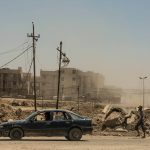 In June 2014, ISIS (Daesh in Arabic) took control of Mosul, the second largest city in Iraq. 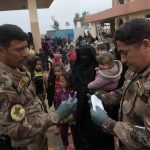 At the time, two key factors contributed to the rise of ISIS: poor governance both from Baghdad and at the provincial level; and heavy handedness and abuse toward the Sunni community by some members of the Iraqi Security Forces (ISF) who acted with impunity. 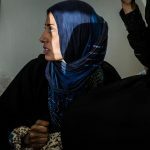 While ISIS ruled Mosul, their ill-treatment of civilians, executions and acts of torture, targeting of minorities, and severe restrictions and punishments on men and women led many Moslawis to flee the city, while those who stayed lived in fear. 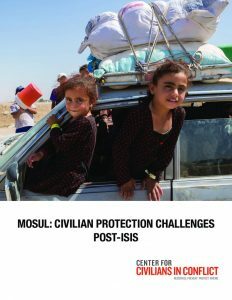 This paper assesses efforts by the Government of Iraq (GOI) and the Iraqi Security Forces to provide security and protection in Mosul, challenges civilians currently face in their interactions with security actors, and offers recommendations to address them. These findings are based on interviews with civilians, GOI and security officials, and humanitarian organizations.